Helichrysum oil or ‘everlasting oil’ is known to be the best essential oil for recovering skin damages and healing scars. It is quite strong and should never be used without diluting in a carrier oil. Though it reduces even the toughest scars in the most effective way, it is way too expensive for regular use. When it comes to healing scars, carrot seed oil is the best alternative to helichrysum oil. It is full of natural antioxidants, which helps in keeping free radicals at bay and increases the ability of our skin to regenerate faster. Make sure that you dilute it in apricot kernel oil or sweet almond oil before applying. Look into the ingredients list of your staple antibiotic ointment and you might find calendula oil in it. This is one of the most common essential oils with scar-healing properties. Being antioxidative, anti-inflammatory and antiseptic, it is widely used for curing severely damaged skin. Cedarwood oil plays a crucial role in boosting the self-maintenance capabilities of our skin to a great extent. The main functions of this essential oil are to eliminate impurities from the skin, decongest lethargic tissues and draw out additional at deposits. These help in fast recovery of skin damages. Among those essential oils, which help skin regenerate and recover through deep cleansing, rosemary oil is a popular one. It is widely known for its detoxifying property that improves the natural functionalities of our skin cells and promotes their renewal significantly. 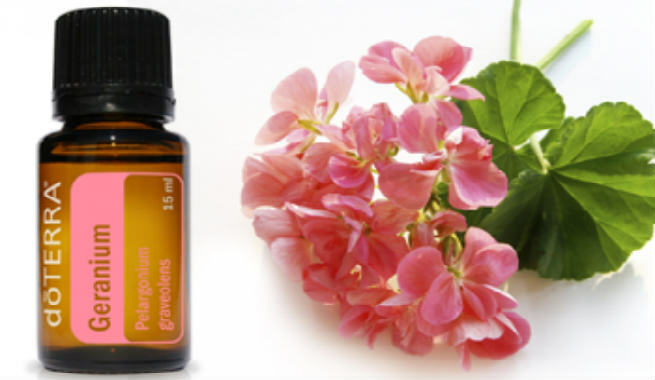 Apart from being a natural antiseptic, anti-inflammatory and antioxidant agent, geranium oil helps in healing as well as uplifting our skin by stimulating the lymphatic system and reducing water retention in body. The cicatrisant properties of this essential oil also aids in fading scars over time. If you have a very old scar on your skin, sea-buckthorn oil can be of your great help. It offers some of the best healing benefits for even the most difficult scars. The super-hydrating property of sea-buckthorn oil is known to be responsible for enhancing the cell renewal capacity of our skin. Hyssop oil is well-known for its efficacy in wound and bruise healing. It possesses a wide range of properties including cicatrisant, antiseptic, stimulant, etc., which not only help in repairing the scars but also prevent it from leaving marks on your beautiful skin. Rosehip essential oil has been finding lots of uses in beauty and skincare lately. But apart from enhancing your complexion, it can perk up the health of your skin and help it get rid of scar marks too. It is loaded with antioxidants and penetrates the skin easily to work on the cells from inside. 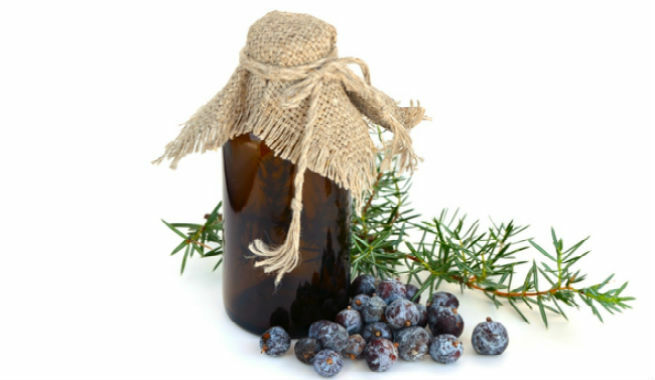 Detoxification of skin is essential for healing scars and juniper oil can do this in the best possible way. It cleanses the cells by removing toxins from them and speeds up the recovery of scars as well as other skin ailments dramatically. You can rely on myrrh oil completely to get rid of a number of skin problems including the healing of scars. The best thing about this oil is that it rejuvenates the cells, especially in the affected area, and mends the tissues to promote the growth of healthy new skin. The beauty uses of rose essential oil are much appreciated. However, it is equally beneficial for repairing scar tissues. Rose oil basically tones up our blood capillaries, thereby making blood circulation better throughout the skin. This results in more elastic and more healthy skin with reduced scar marks. The therapeutic uses of lavender oil are quite popular across the globe. It is gentle in nature and hence, can be used without diluting in a carrier oil. Being a good anti-inflammatory agent, it can prevent the formation of scar tissues and reduce the appearance of the existing ones considerably. Neroli oil is also called ‘orange blossom oil’ and has excellent effects on a scarred skin. Regular use of this oil can increase the regeneration of our skin cells to a large extent, which eventually helps in fading the scar marks over time. The skin benefits offered by frankincense oil are almost similar to those provided by carrot seed oil. When diluted in carrier oils (like jojoba oil, sweet almond oil, apricot kernel oil, etc. ), it can go deep into our skin and help in growing new cells over the damaged ones. 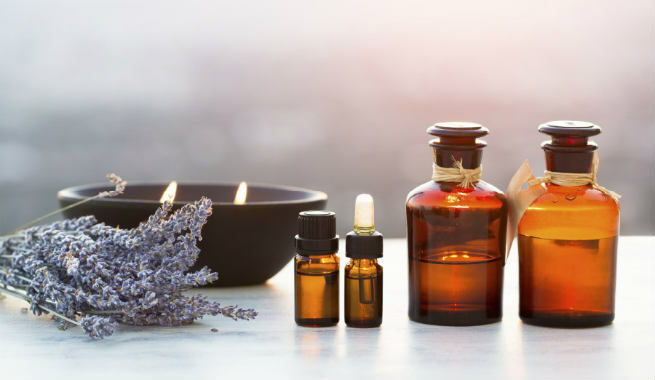 Last but not the least; there is patchouli oil, which has amazing cicatristant as well as anti-inflammatory properties to give damaged skin restoration a boost. It can renew both old and new skin cells and accelerate the process of scar tissues healing. However, the effects of essential oils on scars are not equal for all individuals. So, keep it in mind while using any of the aforementioned oils for reducing your scar.